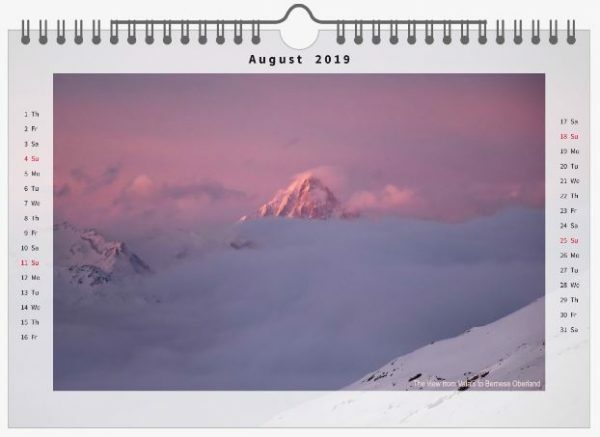 My 2019 alpine calendar includes many of the 4,000 metre peaks I love so much in Valais, Switzerland and have photographed this year. 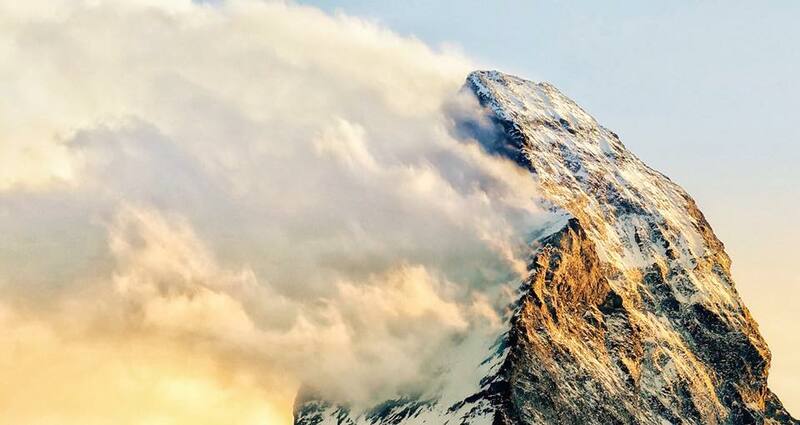 The canton of Valais contains 10 of the 12 highest summits in the Alps. 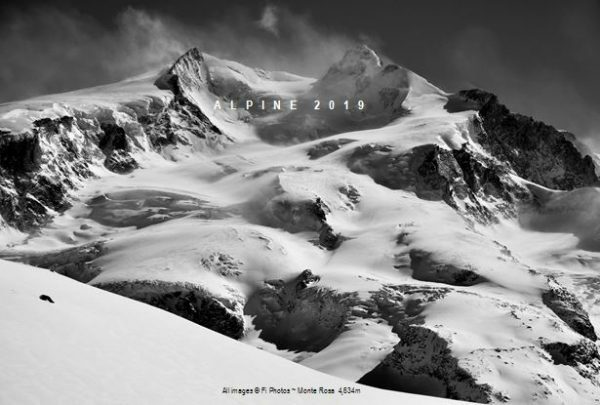 Images include the largest glacier in the alps, the Aletsch, also known as the Grosser Aletschgletscher in German. 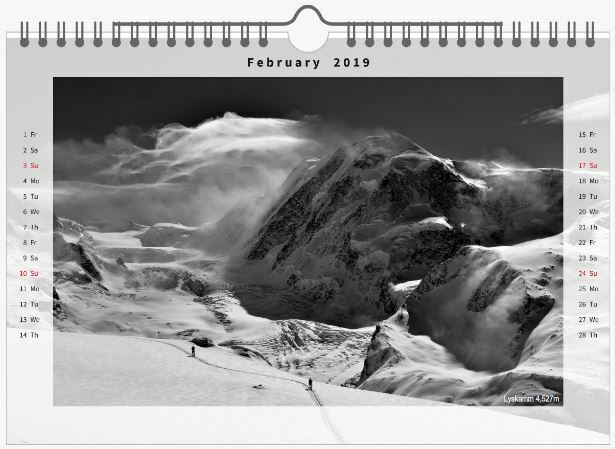 The Aletsch is situated in the Bernese Alps and is 23kms long. 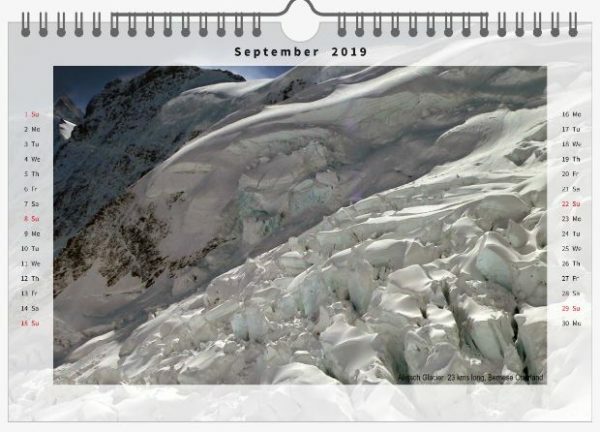 Moving 50 kms south, is the Grenz glacier which flows between the Monte Rosa and Lyskamm mountains of the Pennine Alps. 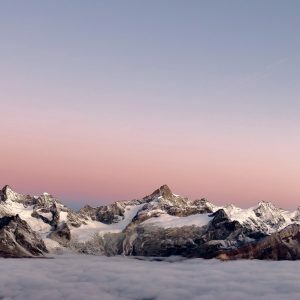 Also featured are the majestic Matterhorn and the beautiful Dent Blanche. 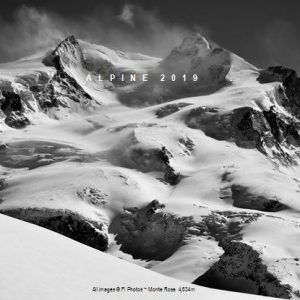 From Monte Rosa to the Weisshorn, via the Matterhorn and Zinalrothorn. This calendar includes many of the 4,000 metre peaks of the Pennine Alps in Valais, Switzerland that I have love so much. 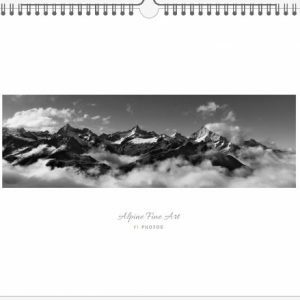 Beautiful Alpine Calendar. 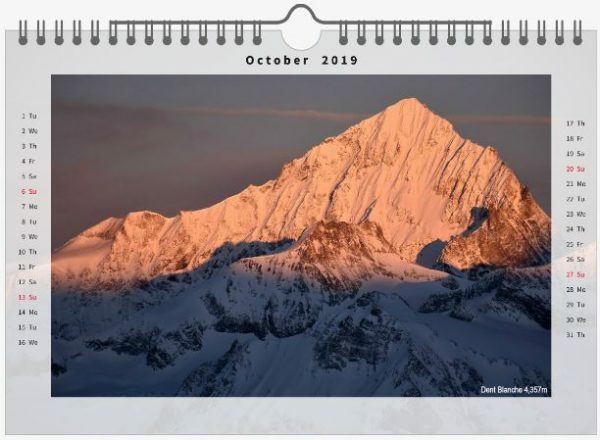 Printed on Premium Matte Paper. Size 30 x 20 cms. 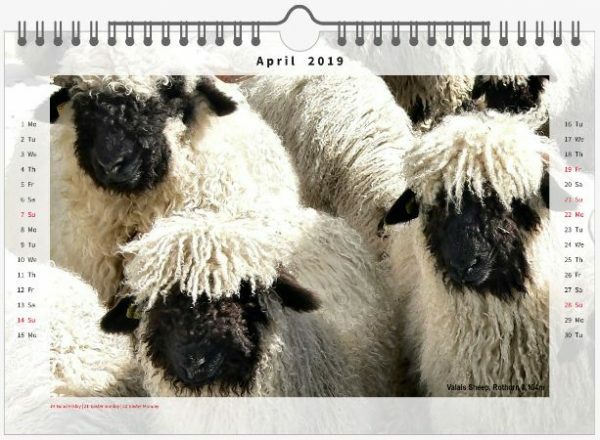 £16 : Calendar with P&P UK and worldwide (P&P added at checkout).